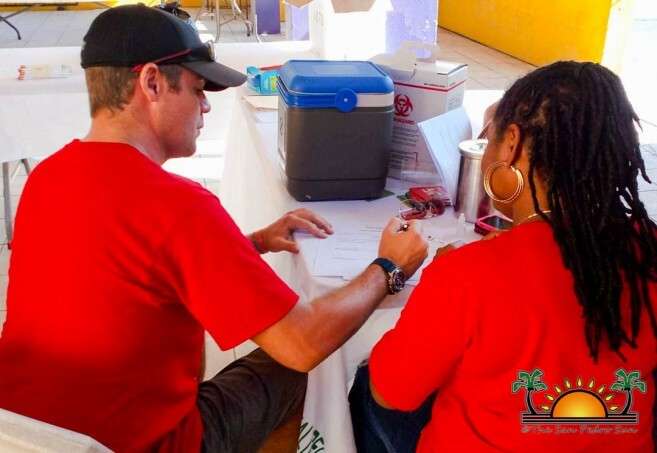 On Saturday, December 2nd, the San Pedro AIDS Commission and the National AIDS Commission/Island Committee (NAC Island Committee) hosted their annual World AIDS Day Awareness Fair at the Lions Den. The event offered free HIV rapid testing, information and counseling, condom distribution and food sale. This year, the event was bittersweet without the presence of San Pedro AIDS Commission’s Felix Ayuso Jr. Ayuso, who was a prominent activist and the main face of the island’s AIDS Commission, was murdered on February 2, 2017. Ayuso left a legacy in San Pedro as he led successful campaigns in creating awareness and educating the community about HIV/AIDS. 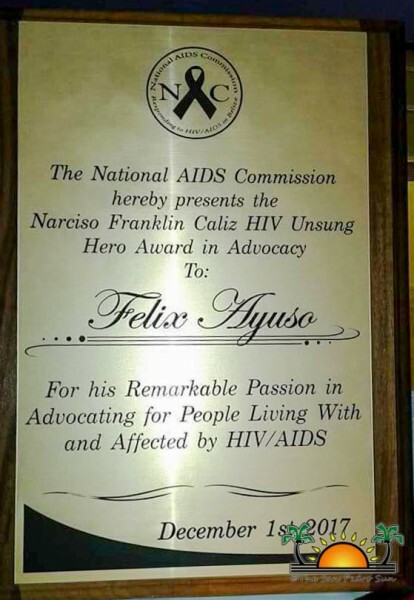 In honor of his dedication and hard work with the San Pedro AIDS Commission, The National AIDS Commission posthumously awarded Ayuso on Friday, December 1st in Belize City during World AIDS Day. His son Jovan Ayuso attended the ceremony to receive such recognition at the commission’s Francisco Caliz Unsung Hero Awards. 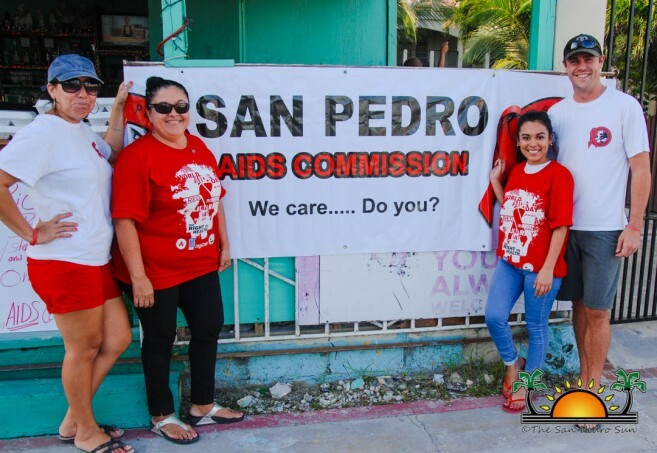 Members of the San Pedro AIDS Commission stated that they dearly miss Ayuso and are proud of the recognition presented by the National Commission. They also stated that for the past 15 years, Felix helped people living with HIV with medication, food, and financial assistance. According to the current president of NAC Island Committee, Kristina Romero, activities for the health fair on the island started at 9AM on Saturday. “There were volunteers from Projects Abroad doing HIV testing on the main streets and inviting people to visit the Lions Den to get tested,” said Romero. The San Pedro AIDS Commission also had food for sale in order to raise funds to continue helping people and their families living with HIV. In addition, there was also education on sexually transmitted diseases and demonstrations on the proper use of condoms. Both the island AIDS Commission and the NAC reported that the turnout was not as expected. “Only a total of 20 persons were tested,” said Romero. She pointed out that on previous occasions, the number of persons getting tested has been much higher. 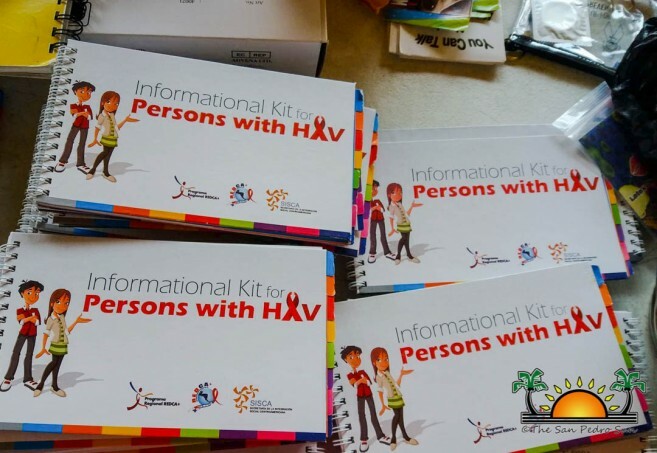 However, it is believed that the low turnout may have been due to the fact that in October of this year, the NAC Island Committee conducted free HIV testing at the different resorts and businesses on Ambergris Caye. The two groups on the island would like to thank the members of their committee, volunteers, and the Dr. Otto Rodriguez Polyclinic II and Ministry of Health workers who gave their time and services, as well as The San Pedro Sun Newspaper, and the community for their support.